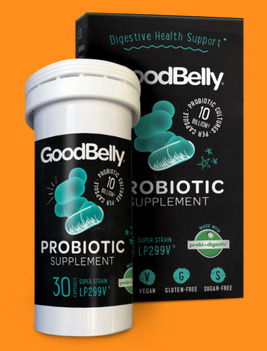 Lactobacillus plantarum 299v: Can This Probiotic Really Have So Many Benefits? Lactobacillus plantarum 299v is a studied strain of L. plantarum probiotics that shows multiple benefits in research studies. Published data shows it may be helpful for IBS (irritable bowel syndrome), IBD (inflammatory bowel disease), high cholesterol, cardiovascular disease, iron absorption (when added to foods or taken as a supplement capsule), and even cognitive performance in some people. Lp299v was originally isolated from healthy human intestinal mucosa, and is also known as L. plantarum 299v, LP299v and Lp299v. In an exciting randomized, double-blind, placebo-controlled study pubilshed in February, 2019, Lactobacillus plantarum 299v showed statistically significant improvement in cognitive performance in participants. The study was designed to assess the psychobiotic and immune-system effects of Lp299v through measurements of cognitive functions and biochemistry in patients with Major Depressive Disorder (MDD) undergoing treatment with SSRI's (selective serotonin reuptake inhibitors, a type of antidepressant.) Psychobiotic refers to the influence of probiotics that have a mental health benefit through affecting the microbiota, in other words, the gut-brain connection. Seventy nine patients were enrolled in the study for 8 weeks, and were given either the SSRI with placebo or with Lp299v. Assessments were made for the severity of psychiatric symptoms [Hamilton Depression Rating Scale (HAM-D 17), Symptom Checklist (SCL-90) and Perceived Stress Scale (PSS-10)] and for cognitive functions [Attention and Perceptivity Test (APT), Stroop Test parts A and B, Ruff Figural Fluency Test (RFFT), Trail Making Test (TMT) Parts A and B and the California Verbal Learning Test (CVLT)]. Blood chemistry tests were performed for tryptophan (TRP), kynurenine (KYN), kynurenic acid (KYNA), 3-hydroxykynurenine (3HKYN), anthranilic acid (AA), 3-hydroxy anthranilic acid (3HAA), tumor necrosis factor-alpha (TNF-α), interleukin 6 (IL-6), interleukin 1-beta (IL-1b) and cortisol plasma. Sixty participants finished the trial, with 30 people in each group. Improvement was seen in APT and in CVLT total recall of trials 1-5 in the LP299v group compared with the placebo, from baseline to the end of the 8 weeks of intervention. There was a significant decrease in KYN concentration, and a significant increase in 3HKYN:KYN ratio, in the LP299v group compared to the placebo group. There also was a significant effect of interaction of Treatment x time for AA concentration. The conclusions from the study were that treatment with Lactobacillus plantarum 299v improved cognitive performance and decreased KYN concentrations in these patients with MDD, and that decreased KYN could contribute to the improved cognition in the treated group. 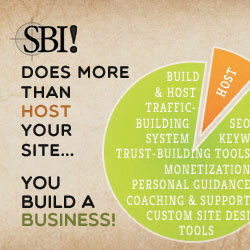 Three, that the ratio of 3HKYN:KYN statistically increased. You may recall that tryptophan is a precursor to the neurotransmitter serotonin. Very little of the body's tryptophan is converted to serotonin, while most is converted to KYN. The desired transformation is for KYN to be converted to 3HKYN and not other substances. 3HKYN will eventually be converted to nicotinamide adenine dinucleotide (NAD+), a molecule involved in many reactions in the body. Since 3HKYN is the next step in the breakdown of KYN toward NAD+, an increased ratio of 3HKYN to KYN shows that KYN is not being aggressively transformed into other substances that can be neurotoxic in high amounts. Problems with regulation of KYN or overactivation of the KYN pathway can lead to immune system activation and accumulation of potentially neurotoxic compounds. The fact that this study showed both decreased KYN and improved attention, perception, and verbal learning means that Lp299v acts as a psychobiotic, improving mental health via microbiota influences. Where Can You Find Lactobacillus plantarum 299v? Jarrow's Ideal Bowel Support formula with 10 billion CFU from my dispensary where you can get a discount and access other quality products. You can also find it in the United States (Amazon.com) and in the United Kingdom (Amazon.co.UK) and, for all orders nearly worldwide, from Vitacost. 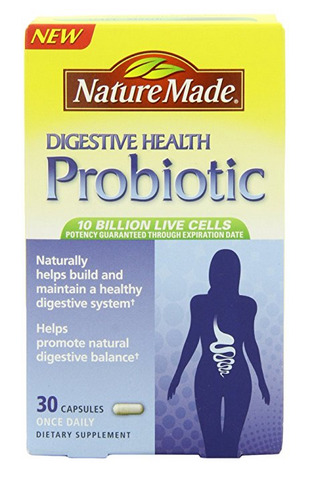 Nature Made Digestive Health Probiotic with 10 billion CFU in the United States and in the United Kingdom or for all orders nearly worldwide from Vitacost. 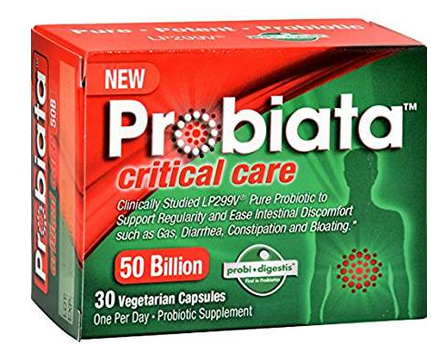 Probiata Digestive Care (15 billion CFU) or Critical Care (50 billion CFU) which comes in vegetarian capsules and has minimal other ingredients. It is free of dairy, gluten, sugar, yeast, preservatives, artificial flavors and colors but may contain traces of soy. 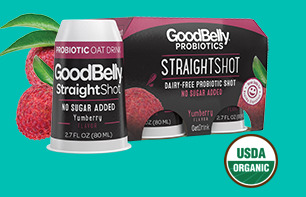 Found outside the US in ProViva drinks, drinks similar to Goodbelly with oat flour and barley malt flour. The ProViva website says that the ProViva Crush products contain less than 5 ppm gluten. 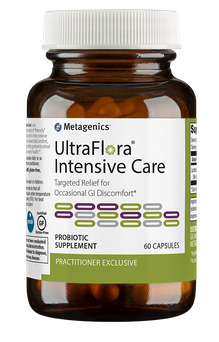 This probiotic is also found in practitioner-only supplements from companies such as Metagenics and others that I am able to order for my nutrition clients. Return to Lactobacillus plantarum page. Return to page on cultured foods and drinks.